I tend to bookmark articles that I find interesting and want to read later on at some point, but almost always I end up forgetting about them. Matthew’s post on Hurricane Katrina, however, reminded me of this article that I had come across a few weeks ago while scrolling through Facebook. The article talks about how the deaths of Eric Garner and Alton Sterling while trying to sell cigarettes and cd’s, respectively, are part of a larger phenomenon where “the hustle” is essentially criminalized by our current criminal justice system. Individuals, specifically black and brown folk, are shut out from the formal economy for a variety of reasons ranging from a criminal past to a lack of documentation, which leads them to then participate in the underground market. While out hustling in order to literally survive, these men and women are left “vulnerable to arrest and police violence.” Pushed out of the formal economy by US policies and our criminal justice system, black and brown folk are forced to pursue alternative methods of survival and then are re-victimized by the same system that drove them to these practices in the first place. The idea of the criminal justice system as a living laboratory from my last post has been on my mind lately, especially now that I’m back home in Harlem and I’m actually seeing again on a daily basis how black and brown bodies are hyper-policed within their own communities. Once again, we see how the criminal justice system literally extends its power over the human body by criminalizing methods of survival. Instead of asking why these people are turning to hustling in the first place, the criminal justice system’s first instinct is to have them arrested for their actions, not even taking into consideration that these men and women are doing it in order to put food on the table. In the article, the author mentions how our modern prisons and criminal justice system were created specifically to deal with Black folk who had been shut out from formal jobs. 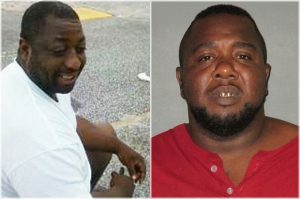 This specific argument took me back to Marc Lamont Hill’s quote “Instead of saying, ‘The system is broke let’s fix it,’ we should be saying, ‘the system is working, let’s break it.’” Both men essentially acknowledge that the criminal justice system was never created to protect the people it serves. With this in mind, I’m left wondering how do we best go about effectively and realistically overhauling this system knowing what we know about the origins and intended purpose of it? I came across this article while I was scrolling aimlessly through my Facebook newsfeed a few weeks ago. I was instantly captivated by the caption because after all that this family has been put through, I couldn’t fathom to think of what else our criminal justice system was forcing them to endure. The article talks about how the lawyer representing Legacy Miller (Eric Garner’s 2 year old love child) is demanding that Garner’s four other children undergo a DNA test before the $7 million dollar settlement is divided up amongst them. Even though Esaw Garner (widow of Eric Garner) has explained multiple times why Eric Garner’s name does not appear on her children’s birth certificates, the lawyer is continuing to press for the DNA test. The money has yet to be distributed to the children even though the $7 million dollar settlement was reached months ago. Lately I’ve been thinking about the criminal justice system as a living laboratory and how officials in this system tend to go beyond their powers and abuse and violate the human body under the guise of “doing their job.” From the way police officers conduct searches to the way lawyers require victims to undergo humiliating medical procedures during trials, officials are constantly finding new ways to expand their authority over the body, specifically black and brown bodies. In the case of Esaw Garner, her testimony on the birth of her children is completely discarded in court. It doesn’t matter that her children knew Eric Garner as their father their entire lives. In the eyes of the lawyer, her testimony was viewed as unconvincing and thus merited medical intervention through a DNA test. This article also brought me back to the chapters we read in Medical Apartheid a few weeks ago. In the book, Washington actually highlights how medical personnel continued to perform experiments on slaves even after they died. Not even in death were slaves able to finally be free from the oppressive systems that held them captive throughout their lives. In the case of Eric Garner and many others like him, his body and that of his family is continuously violated by officials who represent the criminal justice system. Even in death, there is no peace that is afforded to him or his family. Rene Tajima-Pena latest documentary No Mas Bebes brings to light the non consensual, sterilization of Mexican-American women in the 1970s. The film follows just four of the many women who were unknowingly subjected to sterilization at a Los Angeles hospital. While in labor, the four women were told that they had to undergo an emergency c section operation in order to save their child’s life. At the same time that the women were being rushed to the operating room, nurses pressured the four women to sign release papers that the women were under the impression were related to their c section, but in reality that granted the doctor permission to sterilize them. None of the nurses fully explained the papers to the four women and translation was never provided to any of the victims, all of whom spoke only Spanish. It took many of the women in the film months, some even years, before they found out what had been done to them. It wasn’t until Dr. Bernard Rosenfeld, a white doctor, started drawing attention to the sterilizations that the case starts receiving attention and ultimately makes its way into the courts. While we will be covering the topics of Eugenics within the next few weeks, we have already been exposed to some of its major tenets already. From Toni Morrison’s Home to Harriet Washington’s Medical Apartheid, people of color, especially women, have historically been sterilized at the hands of medical personnel who have abused their powers by performing non consensual procedures on unwilling participants. In this specific film, we learn that during this time there was a large fear of overpopulation which led to these non consensual sterilizations. Unsurprisingly, we also learn that these procedures were mainly performed on women of color, even though white women were also having large families during this time. The film highlights how sterilization was not only a gendered experience, but a racialized one as well. When I finished watching the film, I was left with many questions and thoughts of “what could have happened.” I think the film does an excellent job of dispelling the idea that we are far removed from the Eugenics movement and that it was simply something that happened in the past. These women are alive and well today and their mere existence actively challenges this narrative. Still, I’m left wondering what would have happened had a white doctor not called out the abuses. Would the women’s stories have gone untold? Or would have someone else spoken up eventually? The film still has me dwelling on the topic of white privilege and how this privilege, although its unfair, can be used to draw attention to these types of abuses.